Only one in four children get the recommended 60 minutes of physical activity and about one-third of American children are overweight or obese. That being said, it has never been so important for parents to teach their children the importance of staying active, and sports are a great way to accomplish that. “Adults must realize there are essential benefits in physical, cognitive, behavioral and social development which accrue with frequent physical exercise,” says Dr. Nandini Madan, a pediatric cardiologist at St. Christopher’s Hospital for Children. We asked her about the major health lessons kids can learn from playing their favorite sports. Sports are a great way to motivate your kid to eat better. Kids can only hear “eat your vegetables, they’ll make you big and strong” so many times before it loses its meaning. However, explaining to your child that proper nutrition will make them jump higher, swim faster, run longer – will make them better at their favorite sport – is a more personalized approach to the same message. Kids who play sports and exercise regularly sleep better than those who don’t. There’s no doubt that sleep is important for growth and development. A well-rested brain is more creative, can solve problems better, make better decisions, is more focused and has a better memory; all of which can ultimately lead to better behavior and better grades in school. The endorphins released when kids play sports keep stress levels low, and low-stress levels are associated with healthy blood pressure, a stronger immune system and heart disease prevention. Exercise can also be an effective treatment for anxiety and depression. 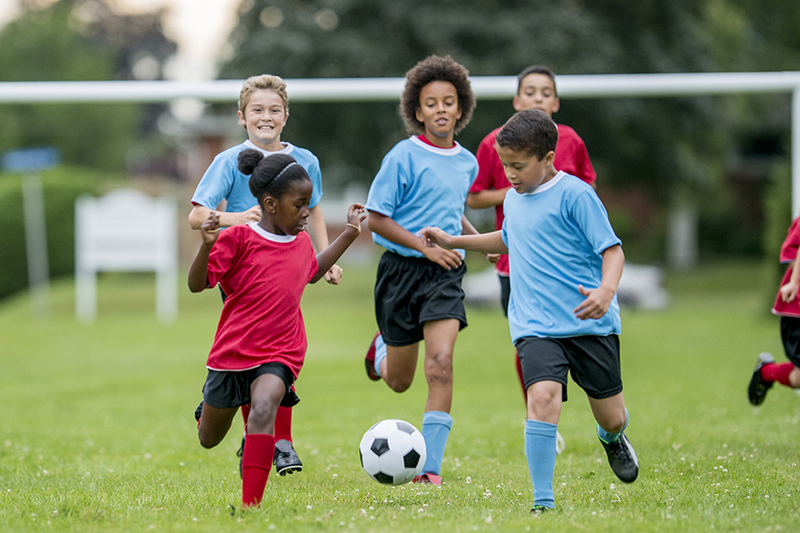 Dr. Madan adds that “children who exercise have better self-image.” Overall, sports teach kids effective and healthy ways to manage their mental health and self-esteem — a skill that will last them a lifetime. Lastly, active children are more likely to be active adults. In order for kids to develop healthy habits, they need good role models. The best thing parents can do for their kids when it comes to developing healthy exercise habits is to be a good example. Exercise together and make it fun. If children can find activities they enjoy, it will likely to lead to a lifetime of fitness and heart health. Teaching your kids how to support healthy lifestyle while they are young is one of the best lessons they will learn from you. For more health and safety tips for your family, visit St. Christopher’s Hospital for Children.